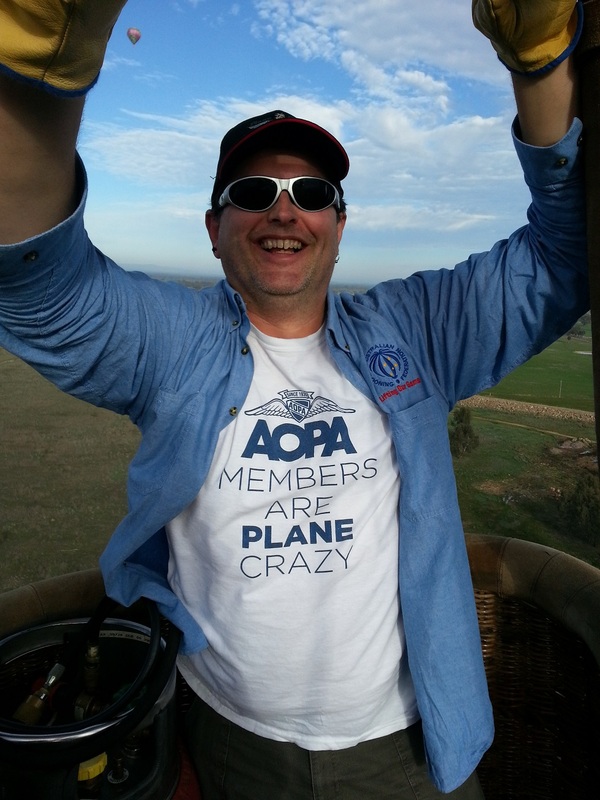 The Aircraft Owners & Pilots Association (AOPA) in the USA recently released a tshirt proclaiming that AOPA members are plane crazy. Our friend Benet Wilson from AOPA (aka Aunt Benet on the Airplane Geeks podcast) thought that given Steve & I run the Plane Crazy Down Under aviaton show, we should be wearing these shirts & sent us a couple. I’d been wearing mine for a while but hadn’t had a chance to get a photo for Benet of me wearing it. Fortunately I was wearing it while flying a hot air balloon near Benalla and a friend was on board to get the photo. Neat! 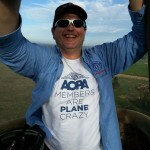 This entry was posted in Clothing and tagged AOPA, Aunt Benet, Australian Pilot, Benet Wilson, PCDU, Plane Crazy, Plane Crazy Down Under, tshirt. Bookmark the permalink.